Ahh, fall ... it's our favorite time of year. And not because the leaves are changing color or the weather is getting cooler. Nope. Instead, while the fashion world is flocking to NYFW, thousands of design lovers are making the trip to the City of Light for Maison & Objet. Twice a year, Paris hosts the trade event to showcase the latest and greatest in the world of design — it's just like Christmas. 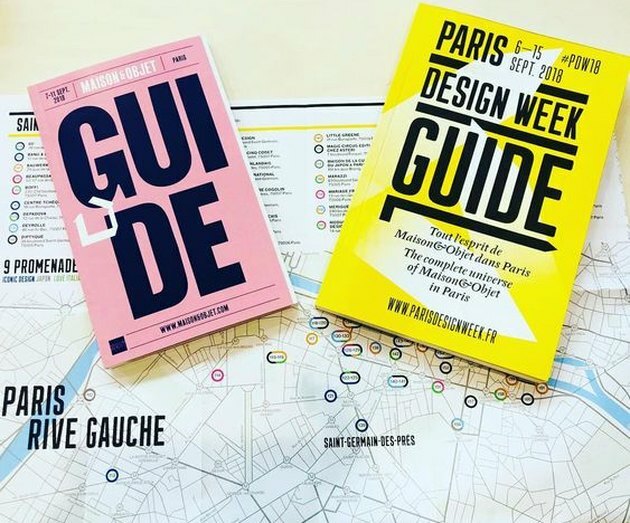 The September edition ( September 7 to Sepember 11 ) overlaps with Paris Design Week ( September 6 to September 15 ), so attendees are able to discover new brands and products, immerse themselves in creativity and inspiration, and celebrate the world of design and its talented creators. And in an effort to alleviate any feelings of FOMO, here are some of the stunning brand highlights that we've discovered. With its playful color, compact size, and retro design, this little rechargeable AM/FM radio is sure to be the life of any dinner party. You had us at rattan chair, but its good looks and curvilinear frame don't hurt either. With its stunning organic curves and delicate features, Cookplay's latest collection of porcelain tableware adds a whole new mouthwatering layer to the dining experience. BRB ... just going to get rid of some furniture to make room for this stunning caned cabinet. Swoon! How good would a pair of these drop pendants look hanging in the bathroom? The answer: They wouldn't look good, they'd look incredible. Be prepared to fall in love. You won't be able to take your eyes off of this gorgeous daybed steeped in Scandinavian minimalism. As the brand's foray into furniture design, they're launching an innovative chair in September 2018 made from "100 percent recyclable composite linen fibers, bio-based resins, and recycled brass." And thanks to its sustainable construction and the elegant and graceful silhouette reminiscent of a classic Thonet, we think it will be a massive success. From tote bags, to cable wraps, to pen sleeves, the minimalist designs of these handcrafted leather goods are as beautiful as they are functional. Pretty sure we need this vanity table in our lives! Small space dwellers ... this folding caned screen is a picture-perfect way to divide your cozy pad. In case you haven't noticed, we sort of have a thing for artisanal scented candles. Attention music lovers: Whether you're a vinyl novice or an avid collector, these retro record players have "a needle for every groove." Turn your _Mad Men-_inspired, midcentury dreams into reality with this decadent green velvet stool. Umm, handmade textured tile? Yes, please!